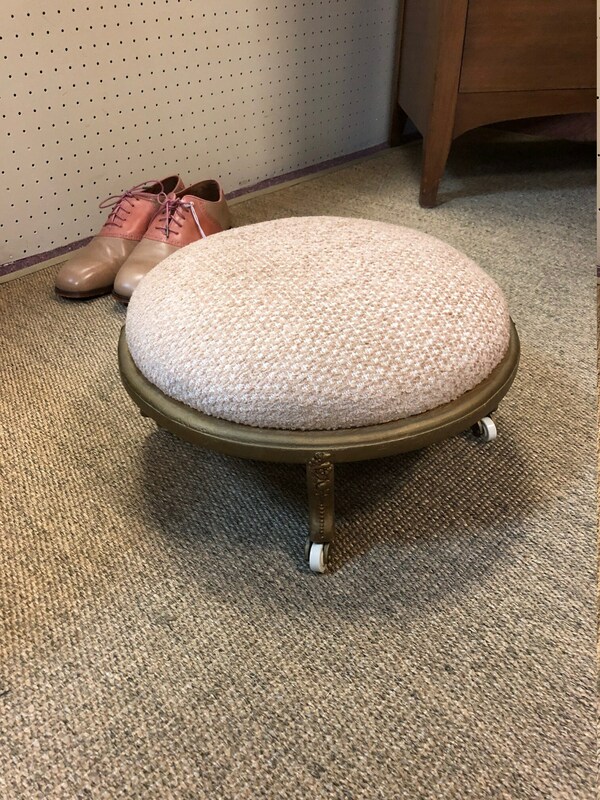 Art Nouveau or Victorian style footstool, freshly reupholstered in blush chenille. 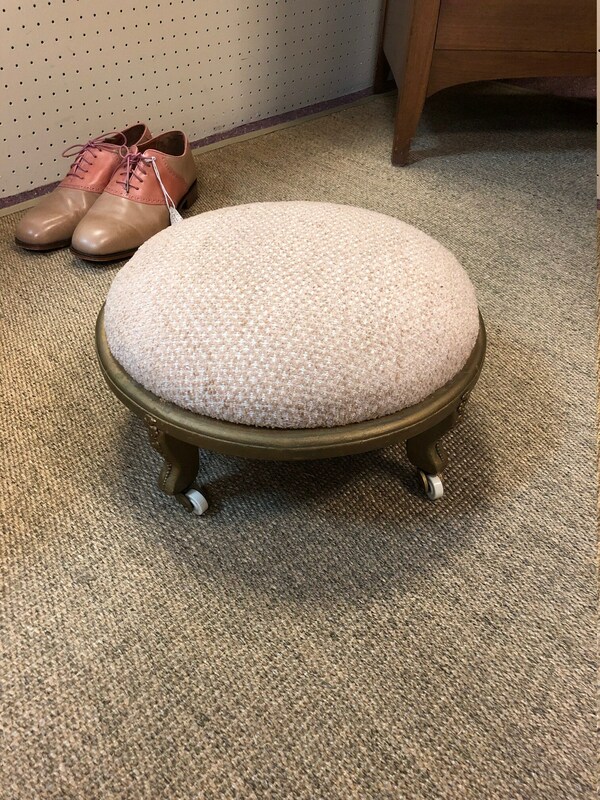 Round plush padded top with gilt wood base and engraved flower detailing. Charming, sweet, and romantic! Rolls on tiny wheels. 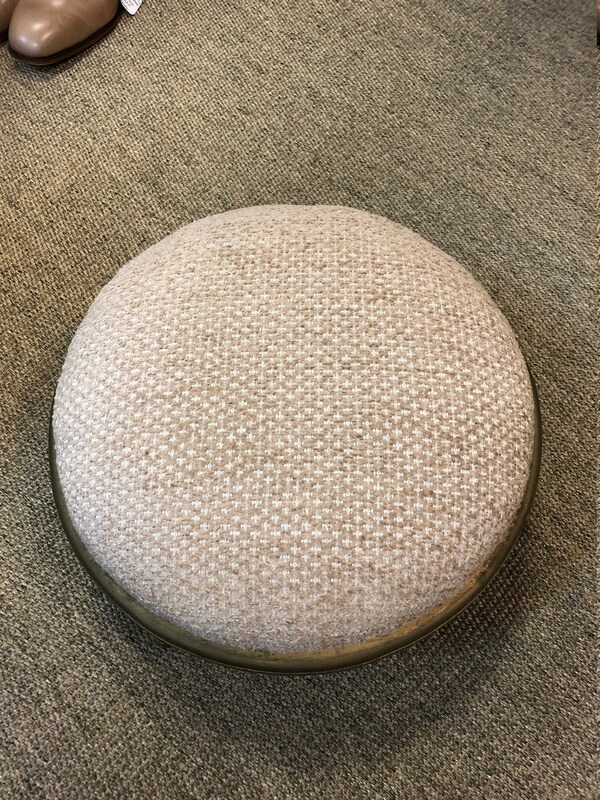 Condition: New fabric upholstery. Light wear to wood commensurate with age. Ready for use.